CANCELLATIONS POLICY: 48 HOURS PRIOR TO ARRIVAL TO AVOID 1 NIGHT CHARGE. This is to inform you that there is a change in check in time. It will be @ 12:30 p.m. for the month of December 2015 and January 2016. The Cancellation policy will be 7 days prior to arrival date for the same period. OUR CHECK IN / CHECK OUT IS 12.00 NOON. 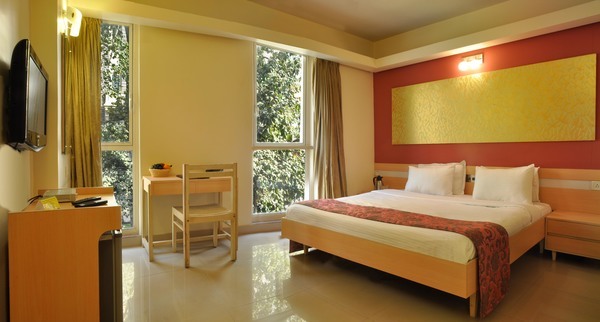 The room rates on the website is inclusive of 18% GST. NOTE: IT IS MANDATORY TO SHOW VALID IDENTITY CARD WITH ADDRESS PROOF, DURING CHECK IN. For 20 days advance Purchase offer - Cancellations can be done 14 days prior to arrival. After which the entire payment will be charged to the card. For 15 days advance Purchase offer - The booking will be non- refundable.